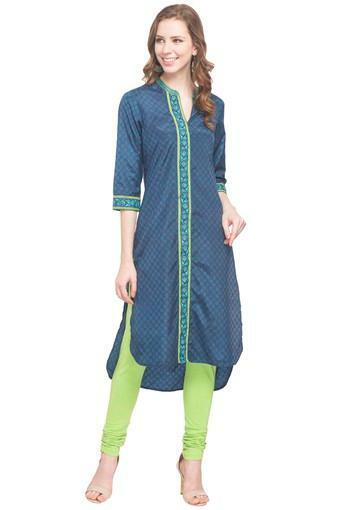 Fetch compliments for your dressing sense by wearing this kurta from the popular brand, Stop. It has a mandarin neck and also comes with three quarter sleeves that add to its design, while the use of a superior quality fabric makes it comfortable to wear. Besides, it features a printed pattern, which gives it a pretty look. 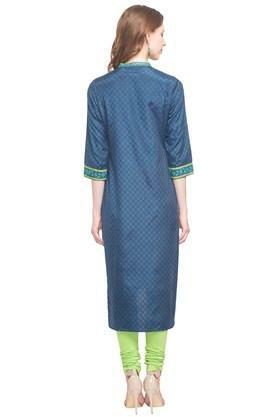 Be the style icon among your friends by wearing this kurta on a casual day out. 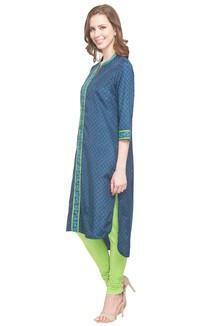 You can club it with a pair of palazzo pants and heel sandals to flaunt a beautiful look.